The Academy for Excellence in Education was established in November of 2006. Our Founding membership was comprised of 44 Distinguished Medical Educators. The collective currently consists of 110 faculty. The Academy provides a forum to foster higher levels of participation and promote excellence and scholarship in the delivery of education to health professionals. The Academy is a collective of outstanding faculty educators in the School of Medicine who are highly engaged in the educational mission. Each strives to have a significant impact on educational endeavors in diverse settings with a variety of learners. Monday, April 3, 2018, 12:00 - 1:00, Light Hall 202 - Patricia O'Sullivan, EdD. Vanderbilt School of Medicine’s Annual John Chapman, M.D., Distinguished Flexner Deans' Lectureship was held on Monday, April 23, 2018 with Dr. Aviad Haramati who also served as the guest speaker for the 2018 Academy Annual Recognition Dinner that evening. Nine new members were selected for the 2018 Vanderbilt Academy for Excellence in Education (AEE) and seven were recognized at the annual dinner. In addition to the recognition of new members, two faculty educators were honored. The Geoffrey David Chazen Award for Innovation in Medical Education was presented to Heather Davidson, PhD, and the Lillian B. Nanney Award for Outstanding Service to VUSM/VUMC Community of Educators was presented to Don Moore, PhD. The Academy for Excellence in Education Recognition Dinner was held April 24, 2017 and welcomed 13 new members. Vanderbilt School of Medicine’s Annual John Chapman, M.D., Distinguished Flexner Deans' Lectureship was held on Monday, April 24, 2017 - the noon presentation was "Educating Health Professionals in the 21st Century: What Will We Need Humans For?" The Academy for Excellence in Teaching Recognition Dinner was held April 18, 2016 and welcomed 5 new members. The Academy for Excellence in Teaching Recognition Dinner was held April 13, 2015 and welcomed 10 new members. Congratulations to the Sept. 22, 2014 Health Professions Education Research Day 1st Place Poster Winners! 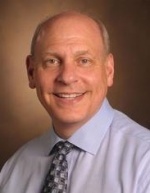 Don Moore, PhD, FSACME, named recipient of the 2018 Lillian B. Nanney Award for "Outstanding Service to the VUSM/VUMC Community of Educators"